Part of the Movie office range of stylish executive business furniture, this versatile computer table module by Gallotti & Radice offers a quality office solution with an Italian designer twist. 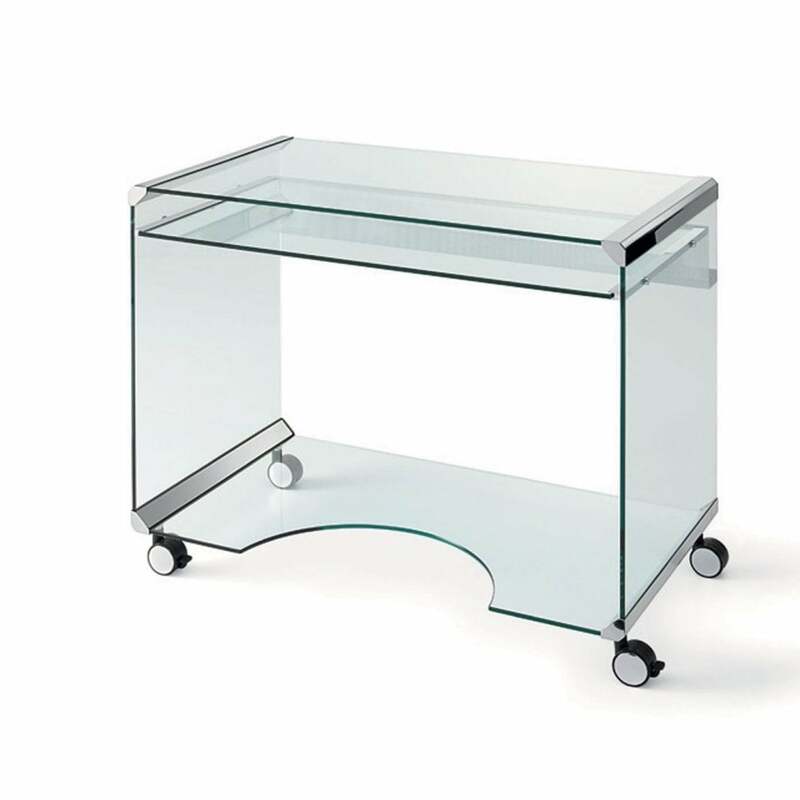 Created from 8 mm transparent tempered glass, the Movie Office A Unit includes a useful pull-out shelf, cover-wire in light grey metallic lacquered metal, finished with bright stainless steel metal parts and useful castors with brake for ultimate manoeuvrability. The stylish Gallotti & Radice Movie Office A Unit is ideal for any modern contemporary home or office interior scheme and would not look out of sorts in a more traditional building to combine a carefully balanced classic contemporary look. Co-ordinate with Movie Office Unit C for an elegant business scheme. 8mm transparent tempered glass with pull-out shelf, cover-wire in light grey metallic lacquered metal. Bright stainless steel metal parts. Castors with brake.